Three Subterranean Press limited editions by Alastair Reynolds can still be downloaded on the cheap! You can get The Six Directions of Space for 2.99$ here. What if Genghis Khan got his wish, and brought the entire planet under the control of the Mongols? Where would he have gone next? A thousand years after Khan's death, Yellow Dog is the codename of a female spy working for a vast Mongol-dominated galactic empire. When she learns of anomalous events happening on the edge of civilised space -- phantom ships appearing in the faster-than-light transit system which binds the empire together -- Yellow Dog puts herself forward for the most hazardous assignment of her career. In deep cover, she must penetrate the autonomous zone where the anomalies are most frequent, and determine whether the empire is really under attack, and if so by who or what. Yellow Dog's problems, however, are only just beginning. For the autonomous zone is under the heel of Qilian, a thuggish local tyrant with no love for central government and a reputation for extreme brutality. Qilian already knows more about the anomalies than Yellow Dog does. If she is going to learn more, she will have to earn his confidence -- even if that means working for him, rather than against him. 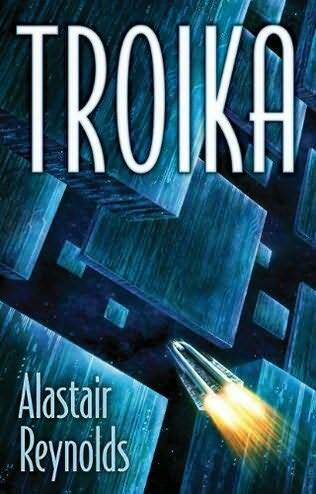 You can also get Troika for 2.99$ here. 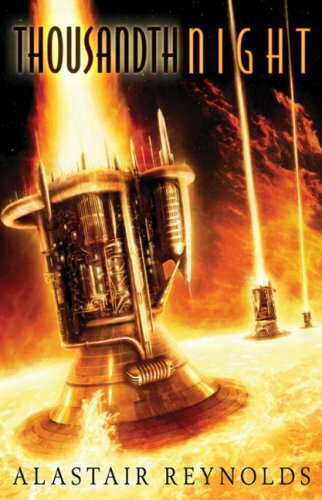 In novels such as Chasm City and Revelation Space, Alastair Reynolds established himself as an indisputable master of the far-flung intergalactic epic. Reynolds brings that same deceptively effortless mastery to the shorter fictional forms, a fact that Troika, his elegant, compulsively readable new novella, amply demonstrates. Troika tells the story of men and women confronting an enigma known as the Matryoshka, a vast alien construct whose periodic appearances have generated terror, wonder, and endless debate. During its third "apparition" in a remote corner of the galaxy, a trio of Russian cosmonauts approach this enigma and attempt to penetrate its mysteries. What they discover--and what they endure in the process--forms the centerpiece of an enthralling, constantly surprising narrative. Troika is at once a wholly original account of First Contact and a meditation on time, history, and the essentially fluid nature of identity itself. Suspenseful, erudite, and gracefully written, it is a significant accomplishment in its own right and a welcome addition to a remarkable body of work. And you can also download Thousandth Night for 2.99$ here. Thousandth Night, the genesis for the epic novel House of Suns, is quintessential Reynolds. 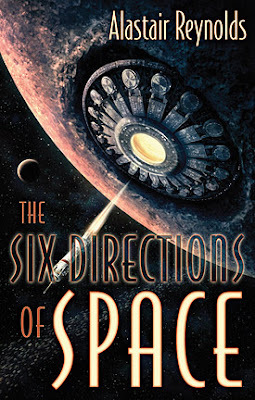 A visionary account of intrigue, ambition, and technological marvels set within a beautifully realized far-future milieu, it combines world-class storytelling with a provocative meditation on the mystery, grandeur, and inconceivable immensity of the universe. I'm not sure I'd consider $2.99 for novellas a deal - that's probably the normal price for that length.